Looking for a guide on how to index backlinks fast in Google and also want to know why your links are not indexing? You have to come to the right place. In this article, I am going to tell you each and everything which you want to know regarding the indexing of your backlinks. First of all, let me tell you that not all your links need to be indexed because Google indexes your quality backlinks automatically and left low-quality links non-indexed. …how do I know which backlinks should I index and which not? First, you have to wait at least 1-10 days after creating backlinks to give Google enough time to crawl and index them. After that, you have to check which ones are left non-indexed. To check this, put the URL (where your link is available) in Google and see what comes. If it shows something as in the screenshot then your link is not indexed. Do not expect the indexing immediately, it could take anywhere between 1 to 10 days (only if it is worth indexing). How to Check the Indexing of Backlinks Correctly? Most of the people check the indexing in the wrong way, they check it through different online tools like Moz, Majestic, Ahrefs, etc.. This is a totally wrong way of checking your links if they are indexed or not because these tools have their own crawlers and it is not necessary that if they have picked your links then Google too. So, the best way to check if the links are indexed or not is only through Google ( as I have mentioned above ). Why My Backlinks are Not Indexing? Here I would like to share with you my personal story, I have written a high-quality article of 1000+ words for a site (not revealing the name) and submitted it as a guest post with a link back to my site. Within a few days, the article was indexed and everything was fine but after a month or so I have seen in the Ahrefs that my link is lost. When I checked and saw that my link is there but the article was not in Google index. So, I have contacted the webmaster and narrated the situation and he told me that he is no longer accepting guest posts and has added the no index tag to all the guest post submissions. Then I realized that this is something which one should be aware of. So, guys if you think that your link is on a good page with good content but it is still not indexing in Google then probably that page has no index tag on it. Well, there is nothing much you can do except requesting the webmaster to remove the no index tag. Google is very smart nowadays and it can easily judge the quality of a page and decide if it is worth indexing or not. So, if you have created low-quality spammy backlinks which don’t provide any value to the users then why should Google even bother to index them. If you are using spun or plagiarized content to create your backlinks then it might be the reason why your backlinks are not indexing by Google automatically. So, make sure that you write high-quality content for creating backlinks so later they get index easily. How to Index Backlinks Fast, Free and Manually in Google? After submitting your links, wait for a couple of days. Although not all your links get indexed with this method, still you’ll see a good indexing rate. 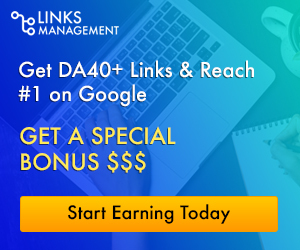 Bookmark your links to all famous social bookmarking sites as this is a very good and easy way to index backlinks because Google bots come regularly to the social bookmarking sites. So if they found your links on many sites they will surely index your links. This method is not as effective as others but still, it gives your links a little bit of boost and helps in crawling. If you are able to send traffic to your backlink URLs, then send traffic from different IPs. This will make Google bot think, the presence of the URL and it will come to it and will index it. There are different software available like Hitleap which you can use to send unlimited free traffic to the links. This is one of my most used strategies to make my links index on Google. I always advise not to use blog commenting directly for building backlinks instead use it to make already build links index and to strengthen them. I have tried this technique a lot of times and each time I have got a 50%+ indexing rate. This is my favorite method to index the backlinks almost instantly. The index rate with this method is 70% +. Let me explain it to you in detail. Make accounts on all 3 and submit them to the Google Webmaster tool. Now, write 2-3 unique articles for each site (you can also use spun content but I’ll prefer handwritten) so that your sites get indexed by Google properly. Now, your sites are properly indexed in Google. Here comes the best part, write articles and at the end add your links which you want to index. Do not insert more than 5-10 links in a single article as this will decrease the indexing rate. After publishing the article with the links you want to index, go to new Google Search Console and click the URL Inspection icon, then a box will lighten where you have to add the URL. After adding the URL, click the Enter button on your keyboard. Here you have to click the Request Indexing button and you are all set. Please Note: In the screenshot, you are seeing a Green Tick Mark because my URL is already indexed but as your’s not so you will not see it. So, do not be confused. Usually, it takes 12 to 48 hours to index the backlinks but in some cases, you will see the results within the first few hours. Power indexer pro is also good software to index your backlinks quickly. This tool is 100% Panda and Penguin safe and you can use it too for indexing purposes. To download the Pro Version of this software for free click the below link. Note: This is a paid method. I am personally using this tool and found it very useful and accurate. I have tried many indexing tools but this one is so far the best and has indexed approximately more than 60% of my backlinks each time. If you create lots of backlinks and do not have time to manually index them then you must go for it. Instead of just crawling your links, our fully automated service starts indexing your backlinks in just a few minutes. The results are insane and can pretty much be considered Google voodoo black magic! If you want to join this network you can use my link to do so. As we know these kinds of links are most easy to create. We build thousands of profile backlinks but only a few of them get indexed by Google. We usually do not add much description in them, we just put our URL and finish. So in order to index such links you have to add a Bio ( 5-10 sentences ) and have to fill as much data as you can to make it look real. According to my experience, most of the people use spun articles for article submission sites. Nowadays, Google is very smart and it can easily detect if the content is spun or handwritten. So, if you use 100% unique and handwritten articles, it will increase the indexing rate of such links. By the way, links from article submission sites are not very useful and they won’t help in moving the needle for you in search results. So, guys, these are some of the best ways to index backlinks fast and free in Google. One thing I want to make clear is that those links which are of very low quality or are on pages with “no-index tag” will also not get indexed by these methods. So try to build quality links for your website or blog. I hope now you have understood completely how to index your backlinks in Google easily but if you still have any questions then don’t hesitate to ask me. i come here from onmogul story to reddit post to here. great example. haha thank you for this information. google indexing and social media sharing works in most case. Very good report. I will definitely sue your techniques to index my backlinks. The tip about making profile 5-10 sentences is very good idea. You should make this in a report and sell on warrior forum for making good money. Thanx for sharing this important backlink indexing strategy. Its very helpful to rank in search engine.